Listen to a new SHAPE mix by audiovisual artist Nik Nowak, produced for the broadcasting platform Resonance Extra. Born in Mainz and based in Berlin, Nik Nowak‘s sound objects combine the aesthetic qualities of sculpture with utility or functional objects, and explore urban or military phenomena at play in everyday life. Nowak earned his undergraduate degree from the University of the Arts (UdK), Berlin in 2007, and studied under German artist Lothar Baumgarten. He is the recipient of several scholarships, including one for a sculpture course under Xiang Jing at Normal University in Shanghai, China. 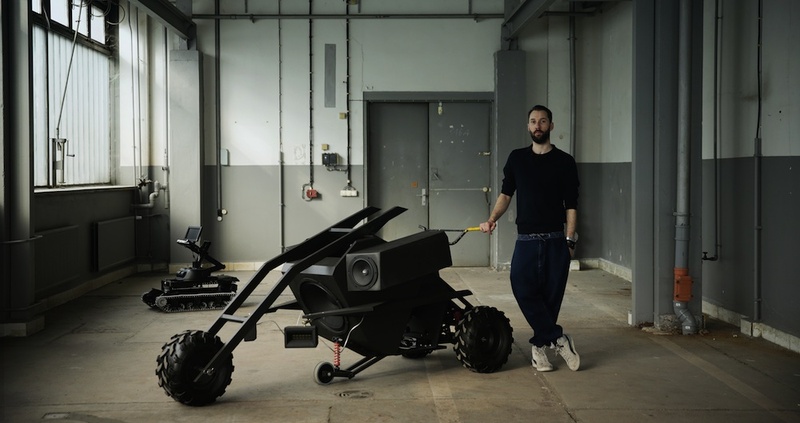 Among Nowak’s notable recent projects is “Panzer” (tank), a caterpillar-tracked minidumper which is transformed into a mobile sound system that pumps out 4000 watts of audio. Other recent works include a diverse range of “Mobile Boosters” (portable, flexible sound systems developed in response to the increasing anonymity of life in virtual space) and “Echo,” a sound installation in which so-called “echo drones” interact with visitors, recording their speech and playing it back in different ways. In 2014, he was awarded the GASAG Art Prize in cooperation with Berlinische Galerie, a prize honouring an artistic position at the interface of art, science, and technology. He also curated the extremely well received exhibition “BOOSTER Kunst Sound Maschine” in collaboration with Museum MARTa Herford, which inquires into the cultural significance of mobile sound systems and their use in the creative arts.